This Wireless Rear View Backup camera has a digital range of 150ft+, with its flawless built-in digital transmitter, this camera will work in any environment. It is 100% water proof and will work in the harshest settings. This Rearview camera has been designed to work with any type of monitor though the digital transmitters is built into the camera the digital receiver has an RCA cable that will plug into any monitor. The receiver is very small and most people either tuck it under their dash or Velcro it to the back of their monitor. 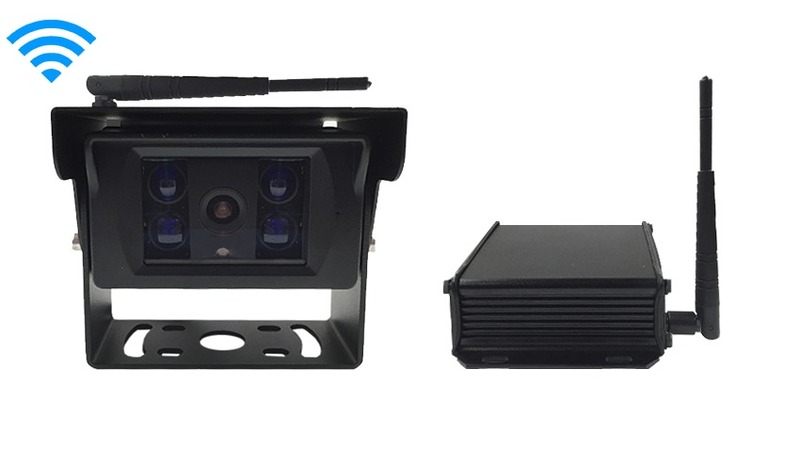 If you are looking for a multi camera system, this backup camera kit will be perfect for you because the transmission is digital there can’t be interference. Some might claim their products are digital but as soon as you turn on a microwave the image gets static, this is impossible with the TadiBrothers digital technology for backup cameras. The image is so consistent that many customers have used them for 24/7 surveillance while their vehicle is parked. This backup camera and receiver kit runs on 12-36 Volts and it's made of extremely durable and tested materials. This rear view camera is made for the person who wants the newest and the best quality, it might cost a little more than the analog but the money you would save on installation more than makes up for the price. At the end of the day, you will have a CCD Hi-Definition image with the best day time and night vision we have ever created. This might be the last rear view camera you ever buy. At TadiBrothers, we strive to deliver the best bird's eye view backup camera solutions available, and this wireless wonder ranks among our best. Easy to install and even easier to operate, no RV operator should be without this technology. The 2nd upgrade is that you can upgrade the lens to have wide angle view of 170 degrees, this will allow you to see more around you with fewer cameras. This Digital Wireless Camera has a flawless range of 150ft+, This Digital camera is compatible with any of our monitors. You simply use the receiver by plugging it into the monitor. It is 100% weather and water proof and is extremely durable and has been tested and consistently used in the harshest environments.